Chicago police say a body was found lying on the Washington-Wells CTA stop platform in the Loop. 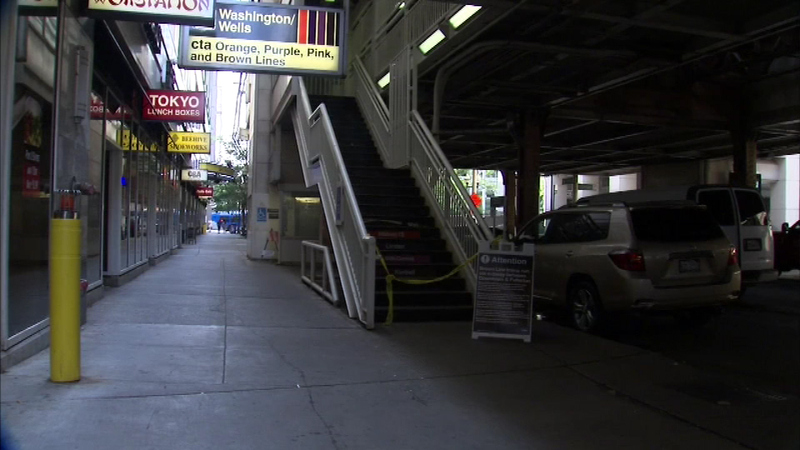 CHICAGO (WLS) -- Chicago police say a body was found lying on the Washington-Wells CTA platform in the Loop. CTA staffers called 911 after finding the body of 21-year-old June Ward at the Washington-Wells stop, officials say. It is not clear what caused Ward's death and police say they do not believe the woman was hit by a train. Pink and Orange Line trains are bypassing the Washington-Wells platform while police investigate. Brown Line trains were already re-routed to Red Line subway tracks because of construction.